Of course, we love a good cardigan, but often neglected is the easy to wear throw-over sweater. A lightweight addition, these sweaters are perfect layered over a summer dress, a button-up shirt, or a pair of chinos. We love this pink number with lace, the green jumper with diamante buttons, and this crystal blue sweater is quite the stunner. It’s the little details that make all the difference! Don’t put away your dresses! Update them for autumn with the use of tights or long sleeves underneath. Whether you like keeping it simple with a pair of black tights, or add a pop of colour with a roll neck sweater, we have something to suit! Opt for bold prints this season for a contemporary and captivating look that will take you from day to night! A perfect way to layer, add a cape! It’s a stylish cover up guaranteed to see you through autumn in style. 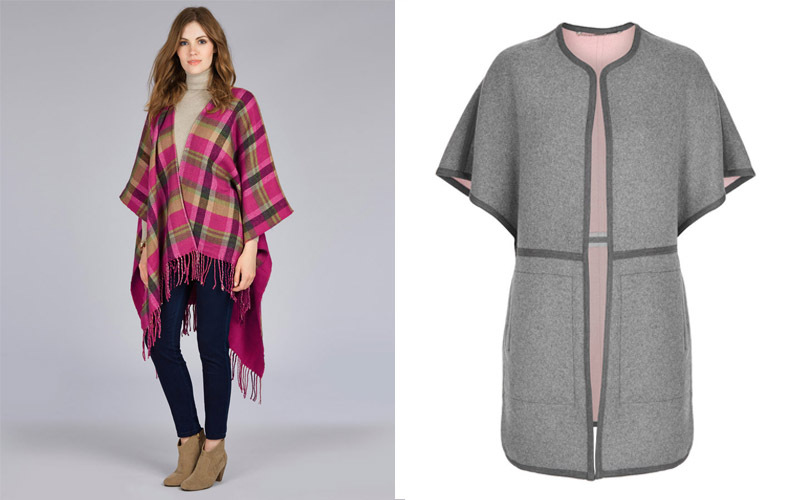 We’re pretty smitten with this vibrant wrap that adds a touch of boho, and the cool, contemporary gray and pink coat. Why not layer one of these capes over a pair of jeans and a simple long sleeve tee, or discard your usual autumn jacket in favour of one of these? 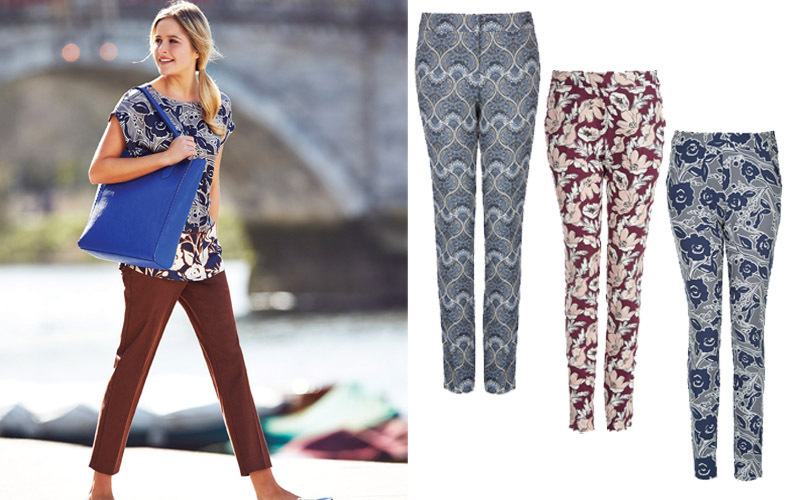 Invest in a great pair of pants this season; your wardrobe will thank you. The right pants make quite a statement, and it’s a simple way to update your look. From florals to jacquard, pleats, and slim leg, there are so many to choose from, you can’t go wrong with these flattering choices! 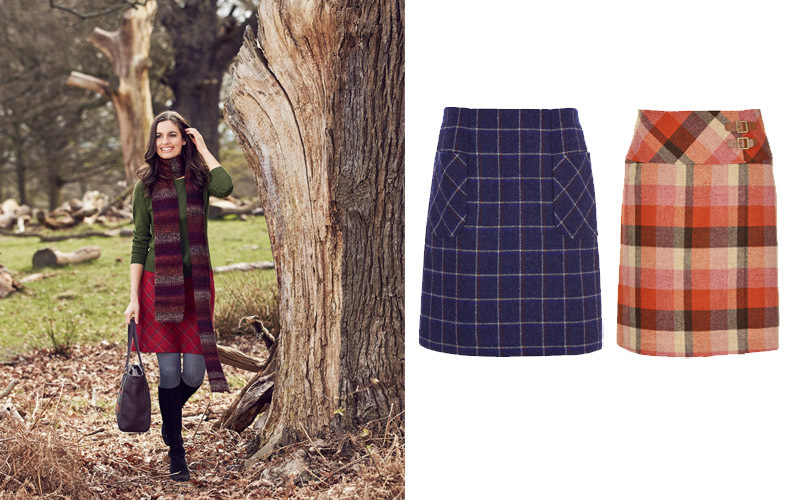 Unmistakably British and forever stylish, a checked wool skirt is the perfect autumn piece. Crafted from the finest Moon’s British wool, these elegant A-line skirts are warm enough to keep you cosy with a pair of tights or tall boots. These are the ones to watch throughout the new season. We adore our chutney-multi colour way! Which one takes your fancy? 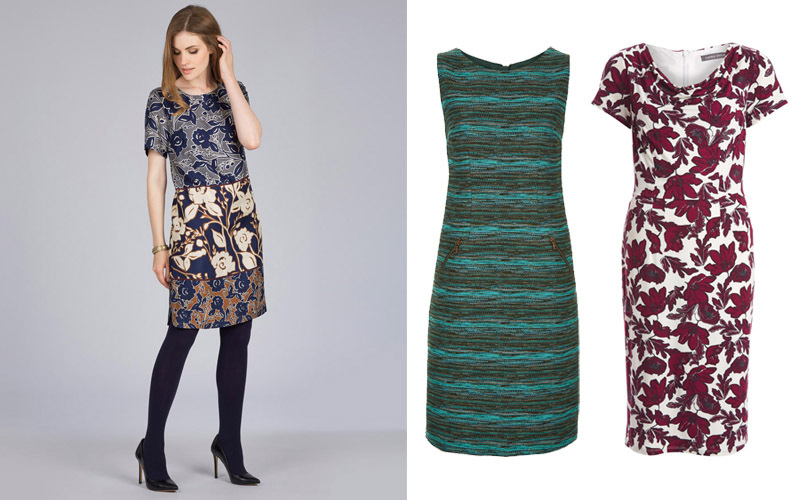 These fab five will take you all the way through autumn in high style! With our list complete, which pieces do you think you’ll be wearing? This entry was posted in In Style and tagged Abraham Moon mill, Autumn, british check, cape, Fall, fashion, Fashion Fix: 5 Easy Tran-seasonal Updates, Fashion Fix: 5 Tran-seasonal Updates, floral, Moon's British Wool, style, sweaters, tights, wardrobe. Bookmark the permalink.